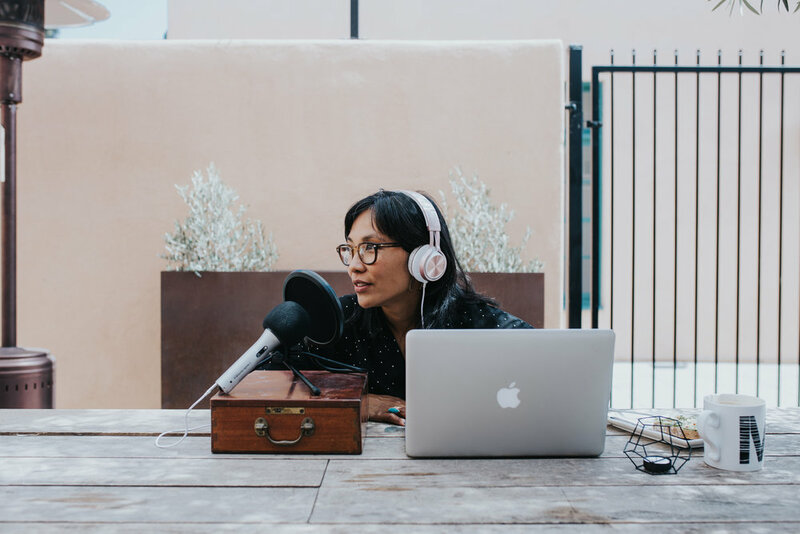 This week I am talking with Cassandra Lam co-founder of The Cosmos an community of Asian women creators. In this episode we talk about the unique challenges that Asian women faces as creatives as well as switching the mindset from surviving to one of flourishing and thriving. In just a little under a year The cosmos has grown to a community of thousands of women who are exploring the question "What does it mean for Asian women to flourish and thrive." This year I have embarked on an experiment to live this year as if it were my last. To be honest I'm not really sure what that will look like but in this episode I'm talking about what's coming up for me already, and some questions that I'm asking myself. Messy Middle Podcast with Sarah Natsumi Moore 12exp. Have you ever wondered what people are talking about when they say "Just show up and do the work?" Well, in this episode we are getting deep into what that looked like for Nicole Miyuki watercolorist, teacher and author as she wrote her first book. Sarah Natsumi Moore is a commercial and editorial photographer based in Austin, Texas. Having previously worked as the in-house creative for the largest travel magazine in The Netherlands, she is now enjoying the sunny freelance life in the lone star state. It was so much fun interviewing Sarah. When I meet people who are part of my tribe it makes me feel less like I belong somewhere. For most of my life I have felt like the black sheep struggling to ‘fit in’ with the mainstream ways, and when I read Sarah’s blog I knew I had found a kindred spirit. Sarah Moore is both funny and witty and a great example of someone who is willing to overcome her fears and put her work out there. We talked about her 12 Experiments project: which is her personal year long project of doing a different experiment a month for a year. The challenges of doing long term projects. How having type A friends is so helpful, but also remembering that we help our type A friends too. Katinka Kraft is a spoken word artist, performer and artistic director of Shut Up and Sign_Speak, a project that brings together deaf and hearing poets in Berlin. On the cobble stone streets of Berlin, she started her performance and directing career, at the early age of 7, with a 80s pop rendition of Mary Poppins. She grew up in a German-American family and moved to the United States from Germany, as a teenager. There she discovered spoken word and eventually became a teacher, organizer and performer in the spoken word and poetry slam scene in the USA for over 12 years. She moved back to her hometown Berlin in 2008. Here she works as a freelance workshop facilitator, consultant, and artistic director. She received her B.A. degree from Western Washington University, Bellingham (USA) in Cultural Studies, Youth Advocacy, and the Performing Arts and my M.A in Biographical and Creative Writing from the Alice Salomon University, Berlin. She speaks German, English and is currently learning German Sign Language.